Is there still a need for your Irrevocable Trust? 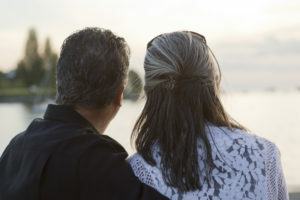 A common estate planning strategy for a married couple over the past few decades has been to minimize or avoid estate tax by using trusts to shelter an amount equal to the estate tax exemption. For example, a couple setting up their estate plan in 2000 with assets totaling $1,350,000 could have potentially saved over $200,000 in estate tax by funding an irrevocable trust upon the first death with $675,000 (the exemption amount in 2000), instead of having assets pass free of trust to the survivor. The irrevocable trust, often referred to as the Family Trust or the Credit Shelter Trust, typically pays income and discretionary trust principal to the surviving spouse. Upon the death of the surviving spouse, the remaining trust assets pass to the children estate tax free. From 2000 to 2008, the federal estate tax exemption increased from $675,000 to $2,000,000 and most recently increased to $11,180,000. During the years with more modest exemption amounts, many irrevocable trusts were established to utilize the then existing exemption – and continue to exist today. These trusts require annual fiduciary income tax returns, typically have higher income tax rates than individuals, and upon the death of the survivor the trust investments do not receive a step-up in cost basis (meaning embedded capital gains are passed on to the remainder beneficiaries). When the total assets of the surviving spouse plus the value of the irrevocable trust are less than both the state and federal estate tax exemption, there may no longer be a material purpose for the trust. (Caution: Vermont and some other states have estate tax exemption amounts significantly lower than the federal exemption.) Many states, including Vermont, allow for the termination of an irrevocable trust upon consent of all trust beneficiaries if the probate court concludes the continuance of the trust is not necessary to achieve any material purpose of the trust. There are often important non-tax considerations that support continuing an irrevocable trust. However, when this is not the case it may be worth consulting with your attorney to see if an early termination makes sense.